It has been a while......too long to even work out really but I have a new work in progress. After the stress of THAT jumper (I really can't emphasise enough how much of a time and energy sap that was) I am really excited about this new project. As you can probably guess this is going to be a blanket (a first for me!) 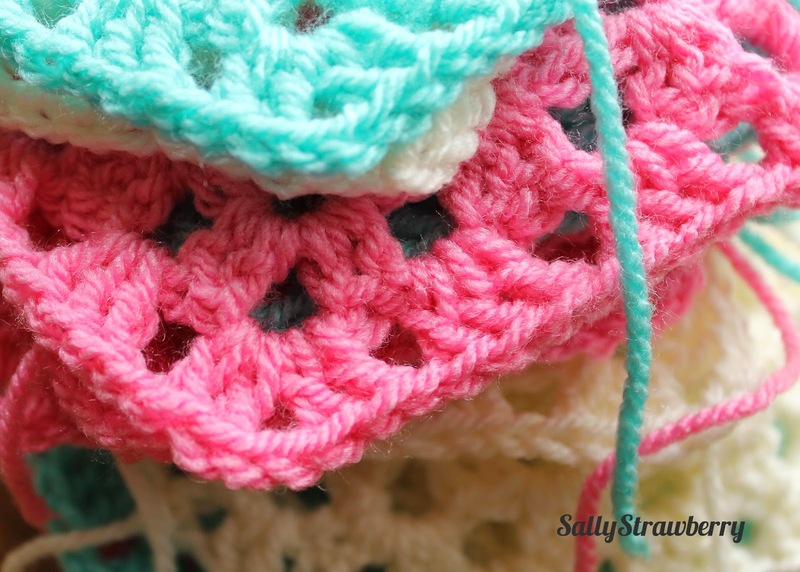 but there are a few twists on the traditional 'granny square'. 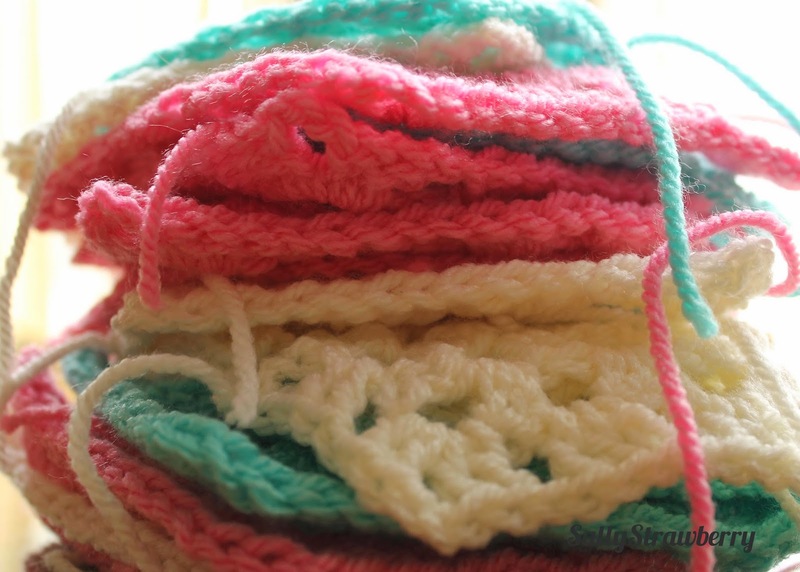 I'm finding it really relaxing crocheting it a piece at a time, and actually it is working up very quickly! I can't wait to show you more next week. Thank you! I have another colour to add to the mix too but need to do a bit of shopping :-) I can't wait to show you all the finished blanket!